Join us this week as the Lady Mousetalgia sets sail for part two of our Pirates of the Caribbean 50th anniversary celebration! 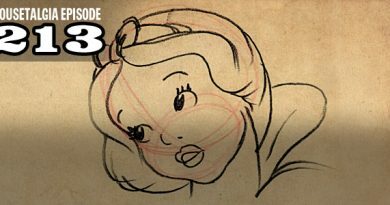 This week, Imagineer Alan Coats joins us to talk about his father – Disney Legend Claude Coats – who was put in charge of the Pirates project by Walt Disney. 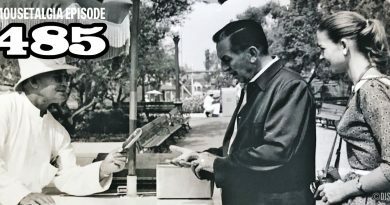 Alan discusses Claude’s plans for the original walk-through attraction below New Orleans Square, his father’s contributions to the Pirates attraction, and his own work with his father on EPCOT Center’s original pavilions. Then, we welcome back Disney historian Joseph Titizian to discuss Pirates past, present and future, and we offer an overview of the attraction with commentary about Yale Gracey, Marc and Alice Davis, and more. Plus, hear exclusive audio mixes from Pirates of the Caribbean history, and we discuss our favorite characters from among Disney’s pirates – the saltiest mob of knaves to sail the Spanish Main!